WE WILL ALSO RENT FOR THE ACADEMIC SEASON. Please contact us for more information. Charming beach cottage in Lords Point, a terrific shoreline neighborhood in Stonington with several small beaches. Clean, well-maintained and air conditioned. 2 bedrooms + loft sleeps 6. Short walk to beaches. Across street from community center with tennis, basketball, playground, bocci, and soccer. Summertime activities at the community center include bingo, family sports night, yoga, tennis lessons, swimming lessons, arts and crafts, movies and more. Something to do for everyone. Main floor includes: kitchen; family room with vaulted ceiling; first bedroom with queen-sized bed, closet and dresser; second bedroom with twin-size bunk beds and two dressers; and bathroom with shower. Second floor loft has a king-size day bed, washer/dryer, sitting area, and storage. Large deck off first floor with gas grill and patio dining set. Shed with beach chairs and boogie boards. The kitchen has a stove, refrigerator, microwave, dishwasher, coffee maker, toaster as well as pots, pans, cutlery, and dishes. Short drive to Mystic, Stonington Village and casinos. Enjoy all Southeastern CT has to offer! We had a wonderful stay! Nice cottage with a loft and deck. Everything was clean and in ship shape. Great location for access to the waterfront, tennis, Mystic, etc. Owner is super nice and friendly. Thanks! 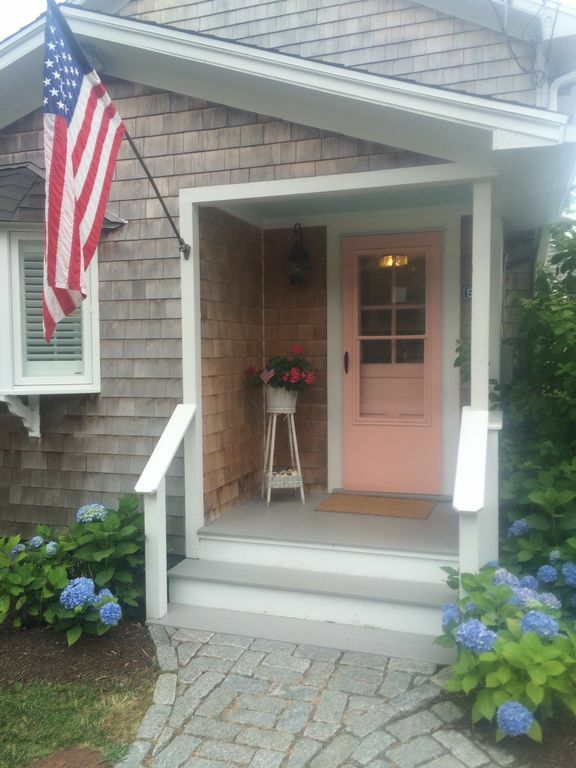 This cottage was a perfect retreat for our vacation in Mystic. Close to downtown Mystic, the aquarium and the village. Even close enough to enjoy some vineyards in Stonington and the beaches! It was nice that we could use the private beaches, playground and community center (right across the street!). Highly recommend for small families to get the most of this area! We had a terrific time at this cottage at Lord's Point! The property itself is adorable and was the perfect size for our family of 4. Jennifer was a wonderful host and made sure we had everything we needed. We had a great time exploring Lord's Point and its beaches on foot and on bike, and participated in some of the summer activities that the community offers. The cottage was very very nice. Jennifer was there to greet us and tells us every thing we needed to know. Weather was perfect the cottage was perfect so it was a perfect vacation. Situated in a beautiful sea side community with a friendly and relaxing atmosphere. We had a wonderful time biking, walking and taking in the scenic ocean sights. We had a wonderful stay at this adorable, clean and quaint cottage. Jennifer is a wonderful host and we really enjoyed our visit. Please Note: Until confirmed, rates may be subject to change without notice. Academic term rate does not include electricity.